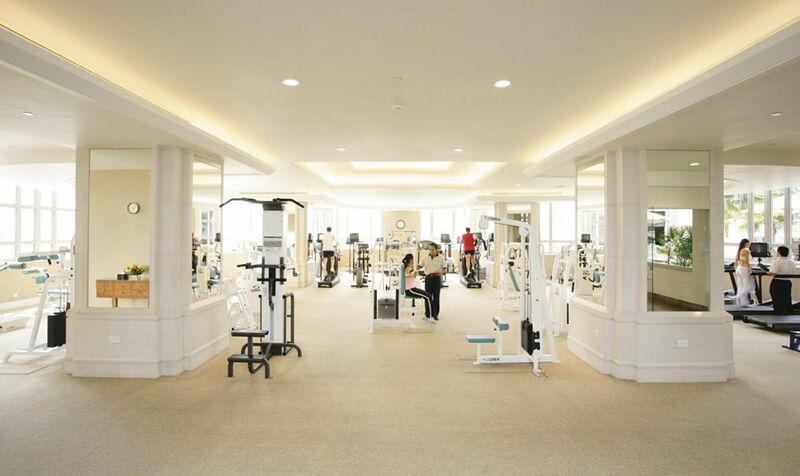 This hotel and spa in Kuala Lumpur is next to the Petronas Twin Towers and the Kuala Lumpur City Centre Park and features 592 locally-styled guestrooms, all overlooking the city or park, and has a great selection of health and fitness facilities plus healthy spa cuisine options. 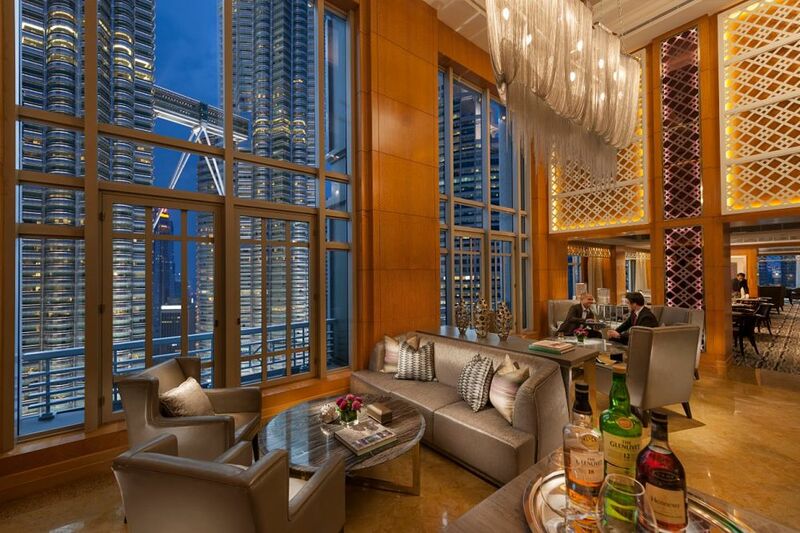 Mandarin Oriental Kuala Lumpur is in the centre of Kuala Lumpur, between the city’s most famous landmark, the Petronas Twin Towers, and the greenery of Kuala Lumpur City Centre Park. 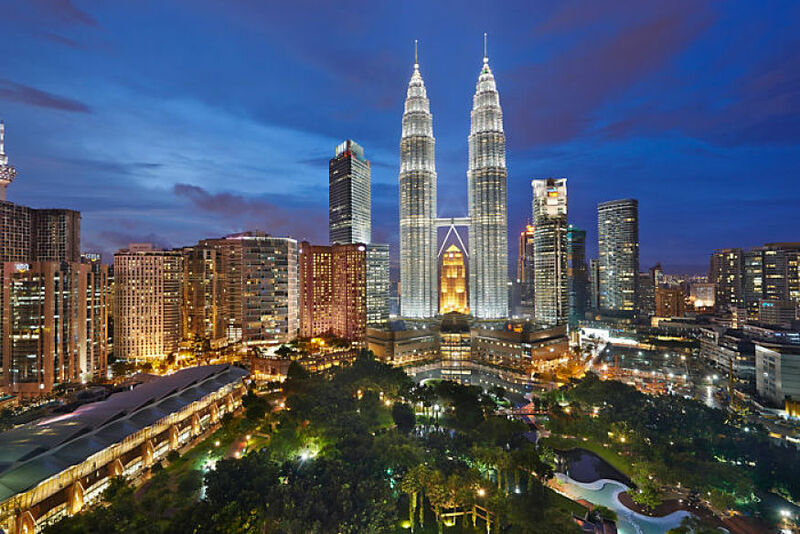 It is a drive of around 45 minutes from the airport to the hotel, alternatively, the Express Rail Link takes you from the airport to KL Central Station in less than half an hour. You can then take the modern and efficient Light Rail Transit system for four stops to the hotel. 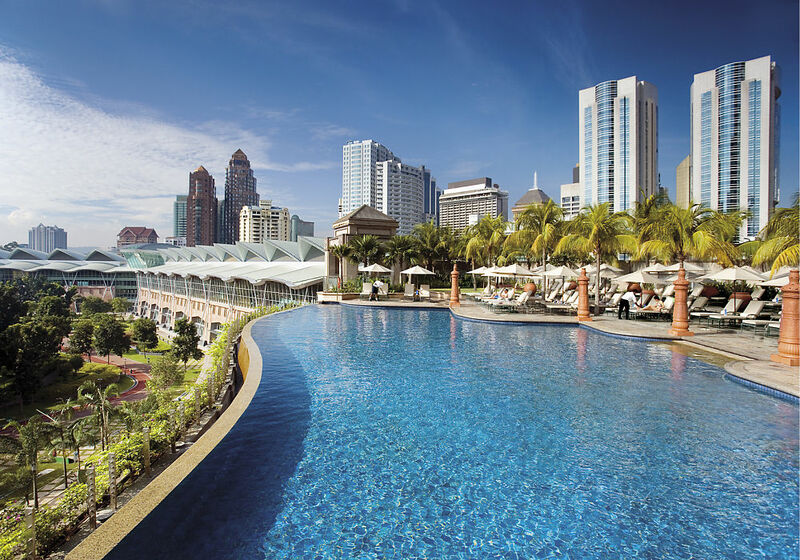 Kuala Lumpur combines the ultra-modern with the traditional, and is known as the ‘Garden City of Lights’. As night falls and the city’s many skyscrapers light up, you will see why. The Mandarin Oriental Kuala Lumpur has 592 guestrooms including 41 suites with an extensive range of room configurations, all with sumptuous decor like copper lanterns, gold-leaf screens, deluxe bathrooms and custom-made luxury fitting. All have views across the city or KLCC Park. 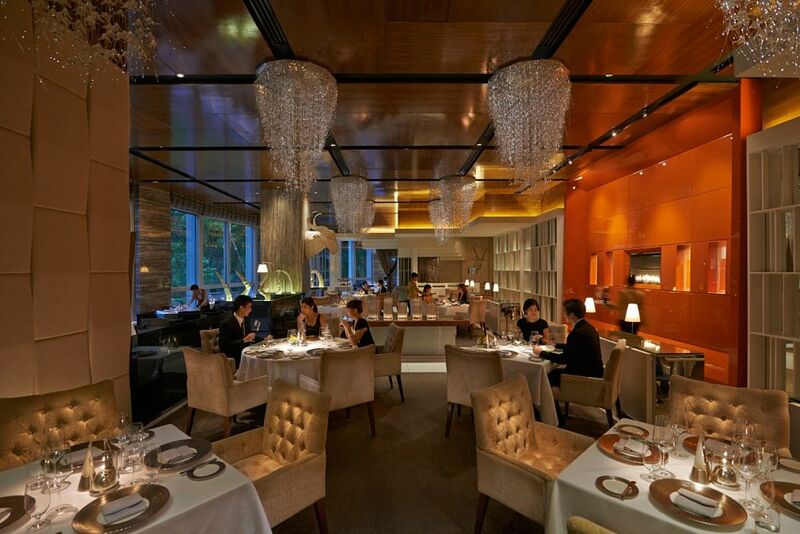 Mandarin Oriental Club floors have access to a private lounge and exclusive services. Thoughtfully designed with your comfort in mind, these elegantly appointed rooms offer sweeping views of Kuala Lumpur’s skyline or swimming pool. Enjoy a classic décor, with a neutral colour palette, contemporary artwork and a selection of light brown and gold soft furnishings. Available with either a king or twin beds, rooms have a residential feel suited to both business and leisure travelers. 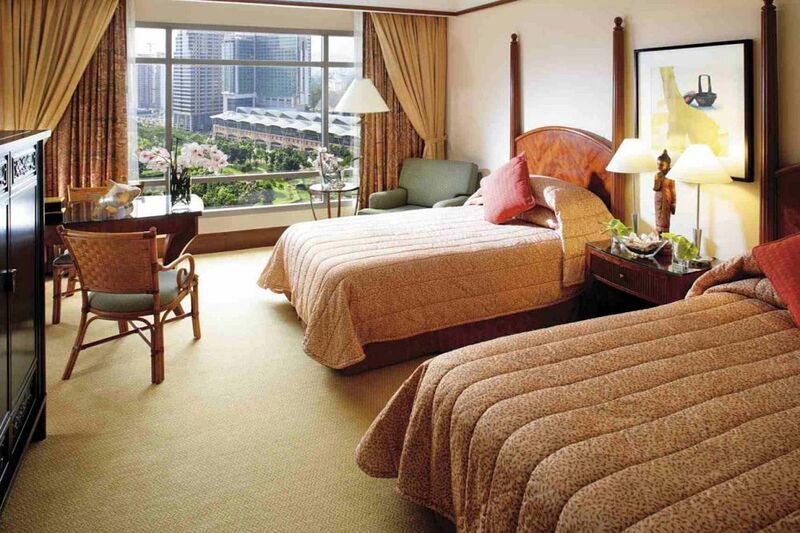 These attractively appointed rooms offer stunning views over the Petronas Twin Towers. Available with the choice of a king of twin beds, rooms enjoy a chic neutral décor enhanced by stunning gold accents. With contemporary artwork, plush carpets and a selection of furnishings, the feel is of a luxurious home from home. Flooded with light from the floor-to-ceiling windows, rooms also offer access to a large bathroom fitted with a bathtub and walk-in shower. Overlooking the lush green space of the fifty-acre KLCC park, these rooms are lavishly appointed with plush carpets, richly coloured curtains and king or twin beds swathed in luxurious linens. Adding to the chic residential feel, there’s a range of soft furnishings upholstered in shades of brown and gold, dark wood tables and a selection of contemporary artwork. Adjacent to the bedroom lies a spacious marble bathroom fitted with a large bathtub and elegant vanity area. Combining a classically chic design with contemporary artwork and luxurious amenities, these spacious rooms offer panoramic views of the city’s beautiful KLCC park. Complete with a king bed and beautiful furnishings, rooms enjoy an intimate, relaxed feel. Ideal for guests looking for a little more space, accommodation also includes a convenient walk-in wardrobe and well-appointed bathroom. Fitted with a deep soaking bathtub, walk-in shower. Through floor-to-ceiling windows, guests of these rooms can enjoy breathtaking views of Kuala Lumpur’s skyline or swimming pool while relaxing in luxurious surroundings. Decorated in a chic palette of soft beige and cream, rooms feature contemporary artwork, dark wood tables and a selection of soft furnishings.Rooms offer access to our exclusive Mandarin Oriental Club lounge. Delight in the rarefied atmosphere of Lounge on the Park. 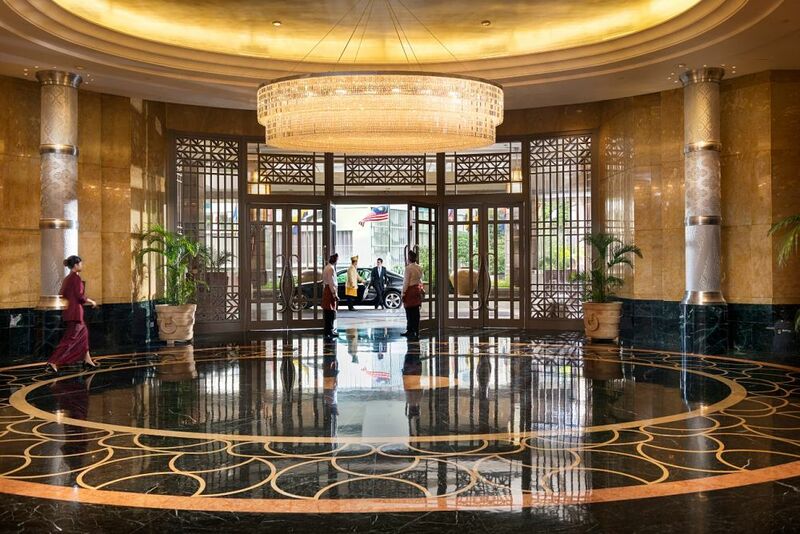 With floor to ceiling glass windows and plush sofas scattered with cushions, Lounge on the Park showcases a seductive mix of Chinese heritage and classic style. An island bar set beneath oversized hanging lights completes the picture of elegance. Home to a selection of irresistible temptations, The Mandarin Cake Shop promises to please even the most discerning taste buds. Indulge in our delicate selection of milk and dark chocolates or take your pick of luscious cakes, pastries and macaroons. The grill restaurant specialises in classic international dishes with a delicious, contemporary twist. The skilled team transforms the best cuts of meats and the finest produce into such dishes such as Black Angus Beef Carpaccio, Organic Lamb Two Ways and 12 Hours Braised Pure Angus Beef Short Rib, just to name a few. And the magnificent glass wine cellar houses an impressive selection of vintages that will complement your meal perfectly. One of the best all-day dining restaurants in Kuala Lumpur, Mosaic serves a delicious mix of local and international cuisine, complemented by interactive live cooking stations and a large dessert bar. Featuring an opulent décor, comfortable sofas and soft mood lighting, Casbah is the perfect place to enjoy late night cocktails and light bites. A modern reflection of an Arabian lounge, Casbah complements the chic and sophisticated Sultan Lounge while allowing guests to move freely between the venues. Casbah permits smoking. 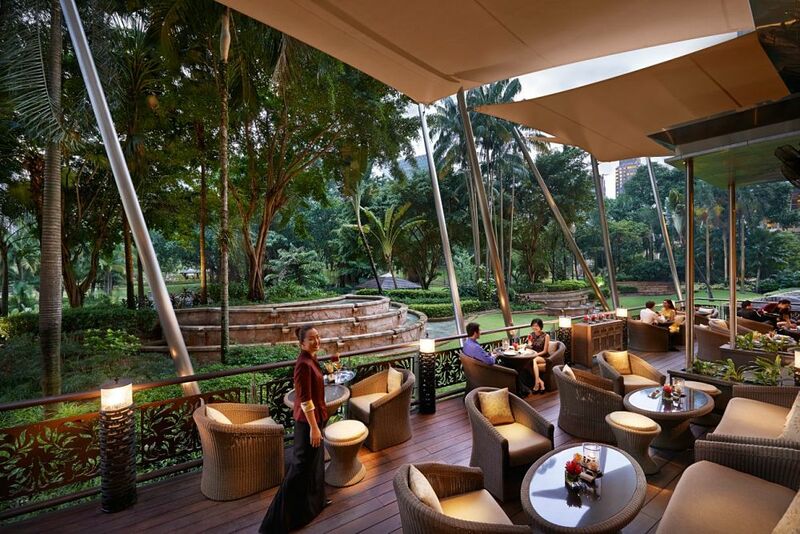 Enjoying a refreshing al fresco setting, Cascade is situated next to our third floor pool and overlooks the lush green scenery of Kuala Lumpur’s KLCC park and the city skyline. Featuring a wide choice of Mediterranean-inspired cuisine including salads, sandwiches and light bites, the menu also offers a selection of refreshing drinks ranging from freshly squeezed juices to teas and coffees. Effortlessly stylish and wonderfully laid back. Subtly decorated with exquisite art and artefacts, Wasabi Bistro features Californian-inspired Japanese cuisine in an informal bistro seating. Diners can choose from a wealth of options, including pan seared tuna, Kobe beef and a large selection of sushi and sashimi. To complement the food, Wasabi Bistro serves a variety of drinks including eleven types of sake. 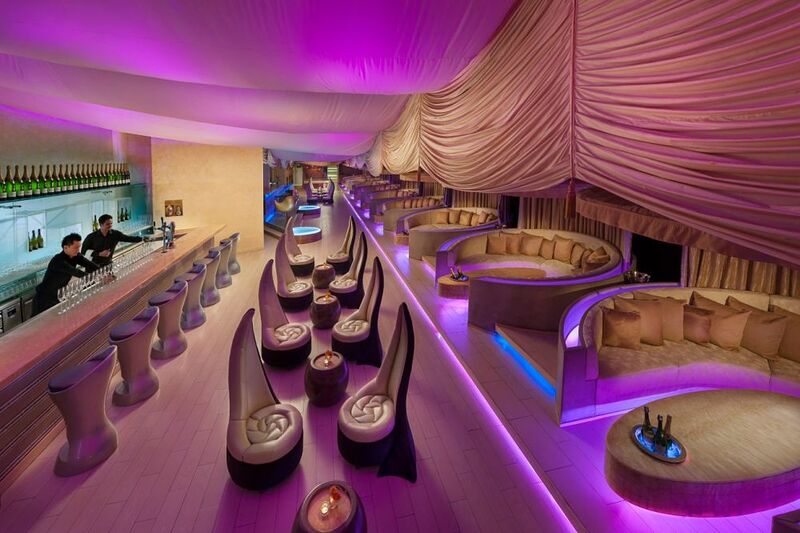 With an ultra chic, contemporary décor, Sultan Lounge is our stunning late-night lounge and club. Enjoying the feel of an opulent Arabian tent with tented alcoves and a triple-height water feature overlooking an opaque bar, it’s chic and sophisticated.